We’re delighted to today welcome eighteen stellar acts to End of the Road 2019 line up. 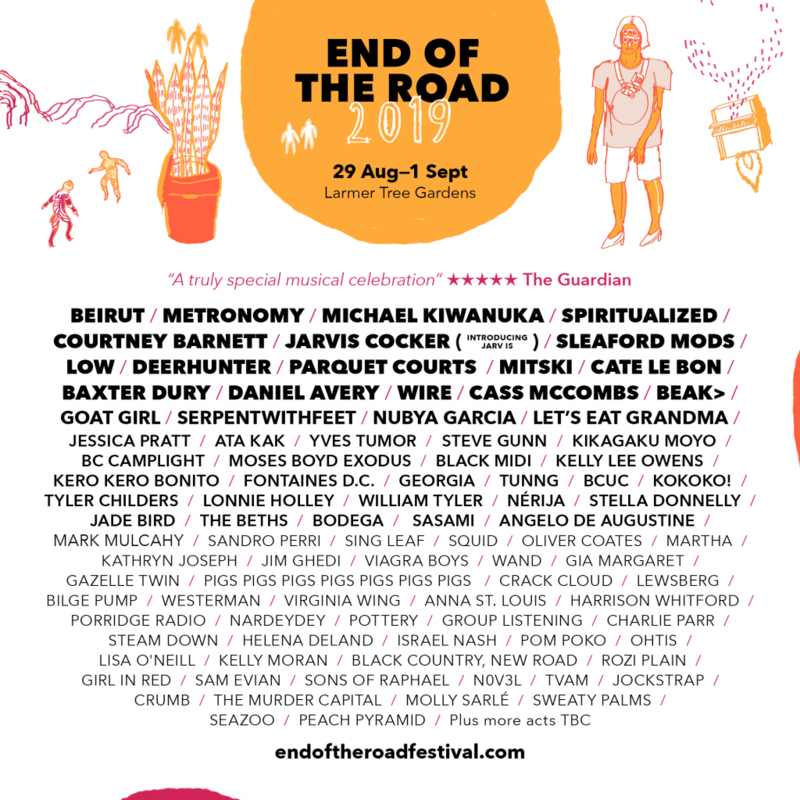 Joining headliners Beirut, Michael Kiwanuka, Metronomy and Spiritualized on the bill will be returning electronic pop experimentalist Kelly Lee Owens, sonic adventurers from the Democratic Republic of Congo KOKOKO! and innovative producer Gazelle Twin. Plus we welcome back the godfathers of folktronica and old festival favourites Tunng, exuberant pop-punk New Zealanders on one heck of an upwards trajectory The Beths, exquisite guitarist, composer and some time member of Lambchop William Tyler, and so much more. The winners of this year’s Play End Of The Road competition have also been revealed; we’re talking three incredible new bands that were hand-picked from a list of thousands of hopeful applicants and have won a spot on our 2019 bill, with one bagging a filmed session on site with The Line Of Best Fit. Noisey Glaswegian four-piece Sweaty Palms, Welsh wonky pop wizards Seazoo and all the way from Canada, surf-inflected singer-songwriter Peach Pyramid, will join us at this year’s festival. Tier Four tickets are now on sale.